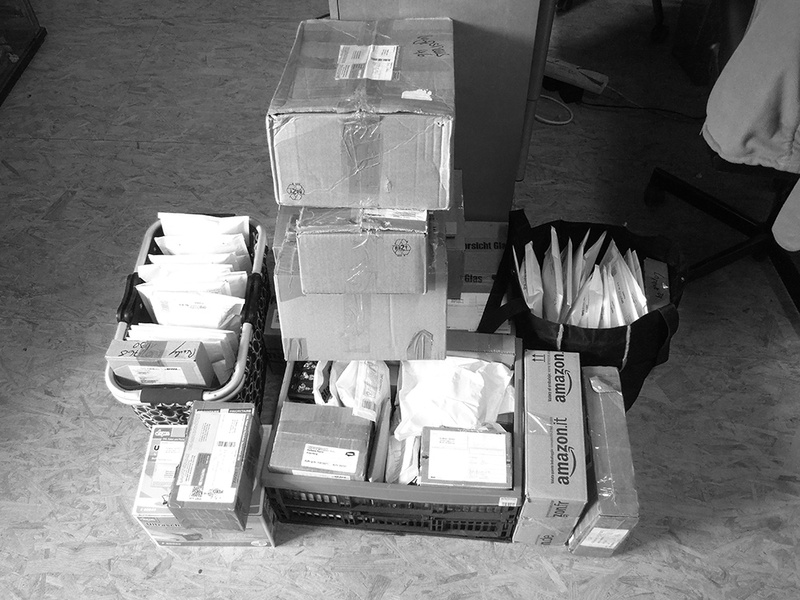 I got brand hot news about our latest contest: Second wave of parcels have been sent yesterday. So now all that stuff is on the road to the winners of the contest. Thanks for your patience. It took me so long because I am so traditional: I had to organise what to put in the parcels, wrote your adresses by hand and I had to find a place where I could rent three donkeys who helped me carrying all that stuff to the post office, but now it's done ... all this is out to you now, worldwide, baby!! Thanks to Paintingbuddha.com and Sebastian for their donation to help with the shipping costs! The jungle owes you gratitude. Option 1: searching all that parcels with silver medals, rip them open again and check back! Option 2: Ask the one who is missing his silver medal to write me an email and I sent it asap! How would you decide when it comes to 80~90 parcels? There are 7 Kommentare for BANANALICIOUS NEWS! But you know, only 1 error out of 80-90 parcels is damn good! You're joking about the donkeys, right? Die Zombies haben ihr Ziel erreicht. Saergent Corwinn arrived safely and I can't wait to paint him! Lot of thanks!